The European Union has, for the past five years, given £100m annually to fund Scots research because of the country’s position in the World University Rankings, with four Scottish universities in the top 20. But experts fear Brexit is jeopardising our participation in schemes such as the world’s biggest Alzheimer’s research project, which aims to identify and prevent dementia decades before symptoms appear. Led by Professor Craig Ritchie, the European Prevention of Alzheimer’s Dementia project (EPAD) has been steered by Edinburgh University working in ­collaboration with researchers from 39 other countries. Prof Ritchie fears Scotland’s involvement in the crucial work is at risk because of Britain’s exit from the EU. He said: “While funding for the present project is secure, what happens as we move forward with our research findings? “Normally, we would be very excited about following on with the results of our research and using that as a platform to the development of treatment. “But we can’t be excited because of the uncertainty of future EU funding and continued collaboration. “It would be devastating for Scotland to be denied access to future funding and research programmes such as this. Prof Ritchie warns the future of good healthcare and innovation depends on international collaboration and, despite Scotland having more medical schools per capita than other countries, Brexit could see us locked out of future research and development. The £60m dementia project was made possible by Scotland’s membership of the Innovative Medicines Initiative (IMI) as an EU member. Prof Ritchie said the EU ­funding came to Scotland because we had the expertise to lead what he describes as a “globally vital project”. A £40m EU-funded “sister ­project” in the Netherlands is currently examining brain imaging developments. 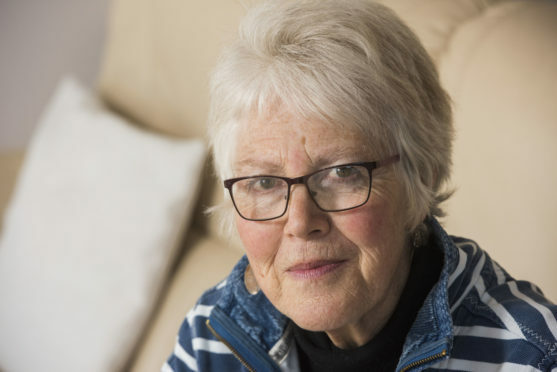 Retired schoolteacher Eileen Penman, 72, from Montrose, has been at the forefront of the Alzheimer’s research programme since 2016. 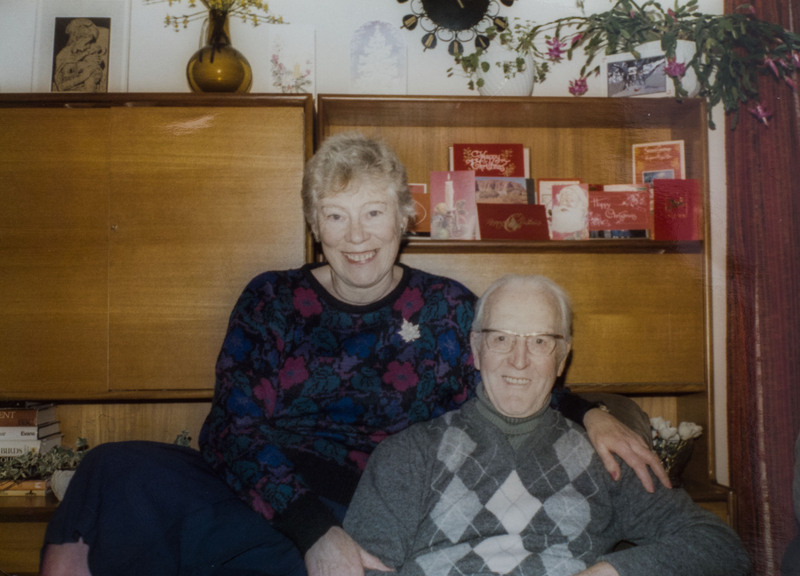 Eileen volunteered to take part after watching the devastating disease affect on both of her parents – Jack, who died at 85 after showing signs of the disease, and Betty, who died at 96, 12 years after diagnosis. Along with other Scots, she is due to be part of the 2,500-strong team of EU citizens testing three new drugs and taking part in a battery of procedures designed to prevent and treat dementia. She said: “I know first hand because of my parents just how important EU research is. “I’m not a political person, but for the sake of future generations and the millions who could be saved from having to suffer dementia in the future, the thought of Brexit having any detrimental effect on vital medical research, and our access to it, is dreadful. “Look how much we have already achieved in beating cancer through research? She said she had “great pride” in taking part in the programme, which involves 39 countries working together to find a new treatment for dementia, which affects up to 50 million worldwide and is expected to blight the lives of 130 million by 2050. The study is concentrating on compelling evidence that Alzheimer’s can be present in the brain decades before symptoms arrive, providing a window of opportunity for treatment to prevent its progression. Eileen, a mum of two, said: “I know my own parents would have wanted me to pursue this. Labour Brexit spokesman Neil Findlay said: “Despite all our warnings about future healthcare, as this government’s chaos over Brexit continues, we are now beginning to see the damaging effects on our country. Cabinet Secretary for Government Business and Constitutional Relations Michael Russell said: “Being taken out of the EU against our will only makes Scotland poorer, diminishes our rights and damages opportunities for future generations – and the EPAD project is a prime example of the kind of positive co-operation that is threatened by Brexit. “Continued international collaboration is critical to maintaining and strengthening Scotland’s excellence in health research. Aberdeen University, where £5 million of EU funds helped develop the next generation of MRI machines, besides green transport projects, is also concerned. Along with other universities, Aberdeen has been calling on the Government to underwrite “live” EU grants post-Brexit. New generation MRI scanners were developed through access to the Horizon 2020 grant scheme. Professor Sir Anton Muscatelli, Principal and vice-chancellor of Glasgow University, said: “I have long made clear my view that crashing out of Europe would be an unmitigated disaster for the UK, and indeed for Scotland. “At the University of Glasgow in recent years we have played our part in the discovery of gravitational waves, the fight against the Zika virus and in pioneering the field of precision medicine which promises a genuine revolution in healthcare. “These are as a result of collaborative working as part of pan-European networks.